Contrary to popular belief, Dubai’s main source of revenue is not oil. Although oil was discovered in the emirate in the 1960s, and certainly helped build the economy, it is other industries such as construction, tourism and financial services that are contributing to Dubai’s extraordinary wealth and creating job opportunities for expats around the world. Only about eight percent of Dubai's population of around 2 million are Emirati - the other 92 percent are expat and migrant workers. Dubai is part of the UAE, which consists of seven emirates (the equivalent of principalities), namely Abu Dhabi, Ajman, Dubai, Fujairah, Ras al-Khaimah, Sharjah and Umm al-Quwain. The most popular destinations for expat workers in the UAE are the emirates of Dubai and Abu Dhabi. Although many foreigners move to the UAE to save money in the tax-free environment, you should note that the cost of living in the UAE remains high, and it's important to factor this into any contract negotiations, particularly the two likely largest expenses: accommodation and schooling. The UAE is the most liberal of the gulf states, offering the most western lifestyle opportunities. Dubai and Abu Dhabi are internationally reknown for their stunning architecture, tourism, and booming trade. There are seven emirates in total, all offering an enticing blend of western and arabic cultures. It is an exciting place to live, with world class events and attractions. You can view the latest jobs and career opportunities available in Dubai on Careers.Global below. MNM Medical Recruiters Canada are seeking expression of interest from suitably qualified and experienced western trained CONSULTANT UROLOGIST-on behalf of a prestigious hospital client in UAE. MNM Medical Recruiters Canada are seeking expression of interest from suitably qualified and experienced western trained CONSULTANT DERMATOLOGIST-on behalf of a prestigious hospital client in UAE. MNM Medical Recruiters Canada are seeking expression of interest from suitably qualified and experienced western trained CONSULTANT OPHTHALMOLOGIST -on behalf of a prestigious hospital client in UAE. MNM Medical Recruiters Canada are seeking expression of interest from suitably qualified and experienced western trained CONSULTANT INTERNAL MEDICINE -on behalf of a prestigious hospital client in UAE. MNM Medical Recruiters Canada are seeking expression of interest from suitably qualified and experienced western trained CONSULTANT ORTHEOPEDIC SURGEON -on behalf of a prestigious hospital client in UAE. MNM Medical Recruiters Canada are seeking expression of interest from suitably qualified and experienced western trained CONSULTANT PATHOLOGY / HISTOPATHOLOGY -on behalf of a prestigious hospital client in UAE. MNM Medical Recruiters Canada are seeking expression of interest from suitably qualified and experienced western trained CONSULTANT ENT SURGEON + COCLEAR IMPLANT EXPERIANCE -on behalf of a prestigious hospital client in UAE. MNM Medical Recruiters Canada are seeking expression of interest from suitably qualified and experienced western trained FEMALE CONSULTANT GENERAL SURGEON-on behalf of a prestigious hospital client in UAE. MNM Medical Recruiters Canada are seeking expression of interest from suitably qualified and experienced western trained FEMALE CONSULTANT OB/GYNE + LAPAROSCOPIST-on behalf of a prestigious hospital client in UAE. MNM Medical Recruiters Canada are seeking expression of interest from suitably qualified and experienced western trained CONSULTANT NEONATOLOGIST-on behalf of a prestigious hospital client in UAE. MNM Medical Recruiters Canada are seeking expression of interest from suitably qualified and experienced western trained CONSULTANT EMERGENCY MEDICINE on behalf of a prestigious hospital client in UAE. MNM Medical Recruiters Canada are seeking expression of interest from suitably qualified and experienced western trained CONSULTANT INTERVENTIONAL CARDIOLOGIST on behalf of a prestigious hospital client in UAE. MNM Medical Recruiters Canada are seeking expressions of interest from suitably qualified and experienced western trained Consultant INTERVENTIONAL RADIOLOGY with experience in INTERVENTIONAL RADIOLOGY on behalf of a prestigious hospital client in UAE. MNM Medical Recruiters Canada are seeking expressions of interest from suitably qualified and experienced western trained Consultant PULMONOLOGIST with experience in PULMONOLGY on behalf of a prestigious hospital client in UAE. MNM Medical Recruiters Canada are seeking expressions of interest from suitably qualified and experienced western trained Consultant PSYCHOLOGIST with experience in PSYCHOLOGY on behalf of a prestigious hospital client in UAE. MNM Medical Recruiters Canada are seeking expressions of interest from suitably qualified and experienced western trained Consultant PATHOLOGIST/HISTOPATHOLOGIST with experience in PATHOLOGY on behalf of a prestigious hospital client in UAE. MNM Medical Recruiters Canada are seeking expressions of interest from suitably qualified and experienced western trained Consultant PLASTIC SURGEON with experience in PLASTIC SURGERY on behalf of a prestigious hospital client in UAE. MNM Medical Recruiters Canada are seeking expressions of interest from suitably qualified and experienced western trained Consultant PAEDIATRICS / NEONATOLOGIST with experience in PAEDIATRICS on behalf of a prestigious hospital client in UAE. 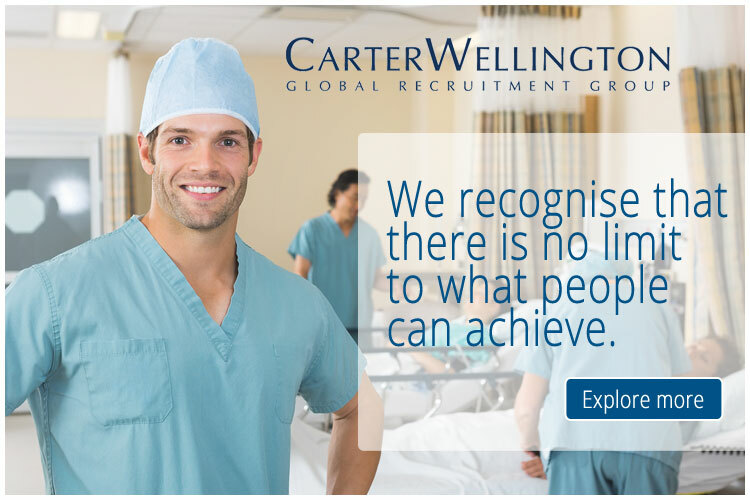 MNM Medical Recruiters Canada are seeking expressions of interest from suitably qualified and experienced western trained Consultant ORTHOPAEDICS with experience in ORTHEOPEDICS on behalf of a prestigious hospital client in UAE. MNM Medical Recruiters Canada are seeking expressions of interest from suitably qualified and experienced western trained Consultant OPHTHALMOLOGIST with experience in OPHTHALMOLOGY on behalf of a prestigious hospital client in UAE. MNM Medical Recruiters Canada are seeking expressions of interest from suitably qualified and experienced western trained Consultant ONCOLOGIST with experience in ONCOLOGY experience on behalf of a prestigious hospital client in UAE. MNM Medical Recruiters Canada are seeking expressions of interest from suitably qualified and experienced western trained FEMALE ARAB Consultant OB / GYN with experience in OB/ GYN experience on behalf of a prestigious hospital client in UAE. MNM Medical Recruiters Canada are seeking expressions of interest from suitably qualified and experienced western trained Consultant NEURO SURGEON with experience in NEUROSURGERY experience on behalf of a prestigious hospital client in UAE. MNM Medical Recruiters Canada are seeking expressions of interest from suitably qualified and experienced western trained Consultant INTENSIVIST with experience in INTENSIVE CARE experience on behalf of a prestigious hospital client in UAE. MNM Medical Recruiters Canada are seeking expressions of interest from suitably qualified and experienced western trained Consultant INTERVENTIONAL CARDIOLOGIST with experience in INTERVENTIONAL CARDIOLOGY on behalf of a prestigious hospital client in UAE. MNM Medical Recruiters Canada are seeking expressions of interest from suitably qualified and experienced western trained Consultant GENERAL SURGERY with experience in GENERAL SURGERY on behalf of a prestigious hospital client in UAE. MNM Medical Recruiters Canada are seeking expressions of interest from suitably qualified and experienced western trained Consultant GASTROENTEROLOGY with experience in GASTROENTEROLOGY on behalf of a prestigious hospital client in UAE. MNM Medical Recruiters Canada are seeking expressions of interest from suitably qualified and experienced western trained FEMALE Consultant ENT with experience in ENT on behalf of a prestigious hospital client in UAE. MNM Medical Recruiters Canada are seeking expressions of interest from suitably qualified and experienced western trained Consultant ENDOCRINOLOGIST with experience in Endocrinology on behalf of a prestigious hospital client in UAE. MNM Medical Recruiters Canada are seeking expressions of interest from suitably qualified and experienced western trained Consultant EMERGENCY MEDICINE with experience in ER on behalf of a prestigious hospital client in UAE. MNM Medical Recruiters Canada are seeking expressions of interest from suitably qualified and experienced western trained Consultant Dermatologist with experience in Dermatology on behalf of a prestigious hospital client in UAE.